Strong, persistent winds were in full control Wednesday in the Rancho Cucamonga area as the Etiwanda Fire forced firefighters to work on holding back the fires spread while attempting to protect nearby homes. 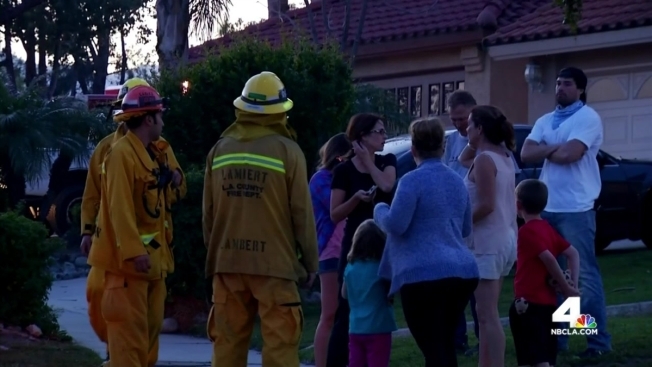 John Cádiz Klemack reports for the NBC4 News at 5 and 6 p.m. on Wednesday, April 30, 2014. 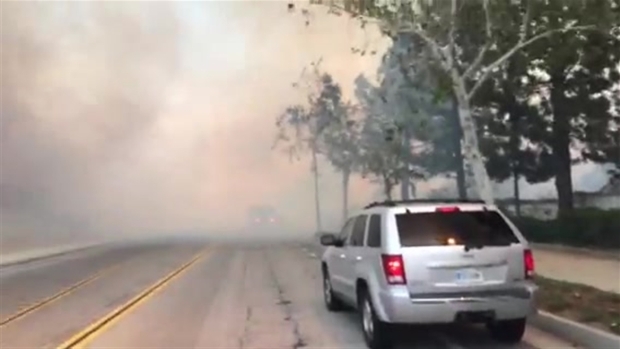 Authorities in Rancho Cucamonga took no chances on Tuesday, ordering mandatory evacuations for more than 1,600 homes and several schools as high winds whipped the Etiwanda Fire over more than 1,000 acres. Tony Shin reports from Rancho Cucamonga for the NBC4 News at 5 p.m. on Wednesday, April 30, 2014. 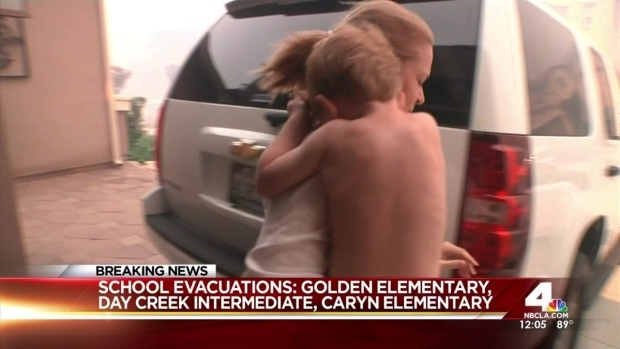 Over 1,000 homes and several schools were evacuated Wednesday after a rapid spreading fire started in the Day Canyon area north of Rancho Cucamonga. 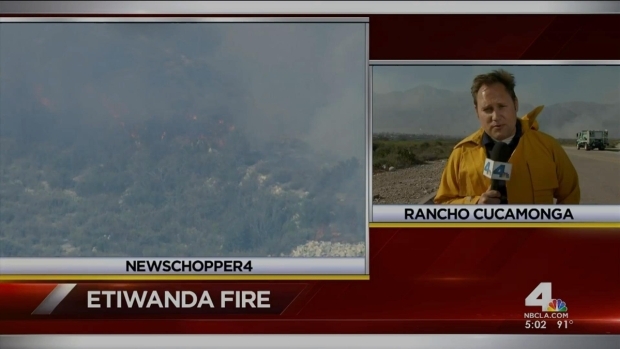 Tony Shin reports for NBC4 News at noon from Rancho Cucamonga Wednesday, April 30, 2014. 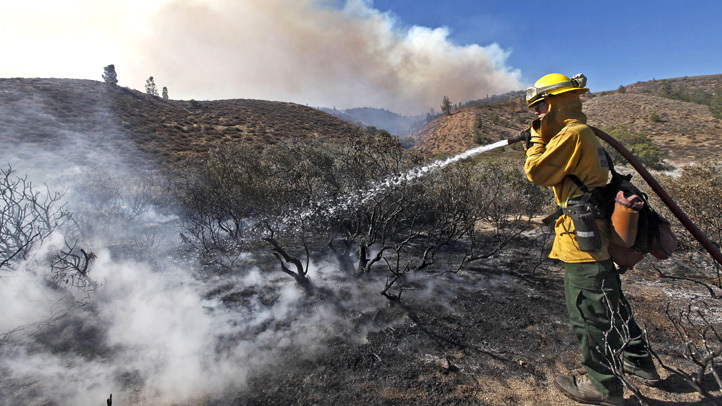 Winds reaching 70 to 80 mph were preventing firefighting efforts by air as the Etiwanda Fire grew to 200 acres. 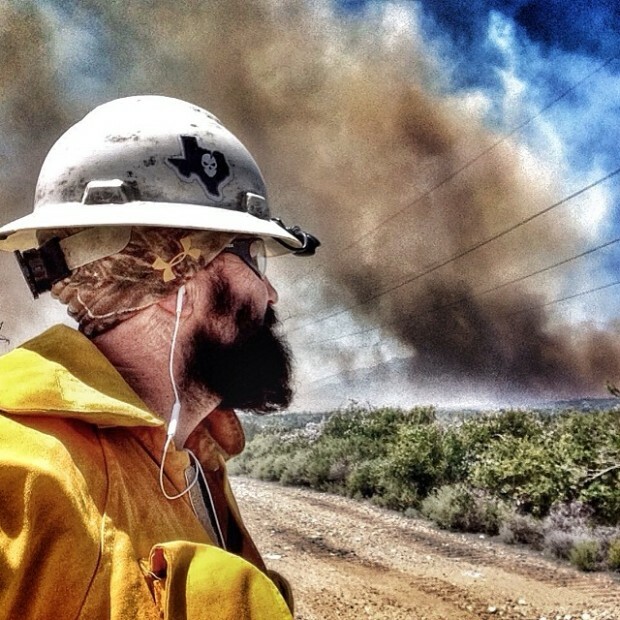 Thick black smoke billowed into the sky as winds increase amid hot temperatures and dry weather. Adrian Arambulo reports near Rancho Cucamonga for the NBC4 News on Wednesday, April 30, 2014.